Airtel 20X Bonus is an offer Airtel is using to welcome back all their customers who have not used their airtel sim for the past 30 days or more. This away for bringing back subscribers that has even dumped their SIM cards. So if you have airtel line that you have not been using for the past one month or more this the time for you to look for it and get it dusted in order to enjoy this amazing offer from airtel. If you can recall back we drop a post about the X20 bonus offer months back and it still rocking up till now so we have made out this post to alert airtel users that are not aware of it,just scroll down to get the full details. 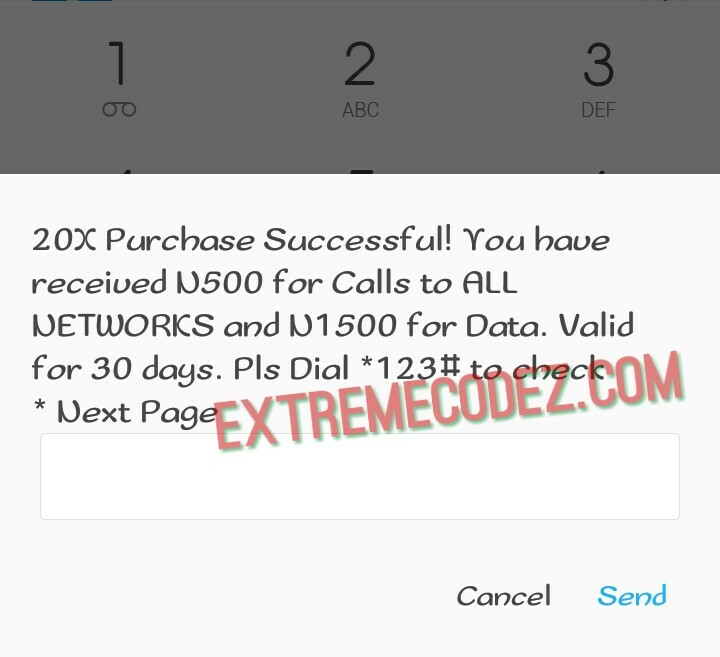 HOW TO BE ELIGIBLE FOR AIRTEL 20X BONUS OFFER? To be eligible for this Airtel 20X Bonus, you must be a prepaid customer and you must have not used your airtel line for one month "30 days" or better still dial *241# to see if you will get the options. The call offer aspect can be used for (incoming or outgoing), SMS (incoming or outgoing) or data. You can see, here is the tricky part because some people rarely load airtime on their SIM but they do use it to receive calls, SMS and even for free browsing with VPN apps. So search within yourself to be sure yours has been completely domant for 30 days. Once you are sure of your eligibility, you can go ahead to activate your preferred bonus from the list below. Remember it’s 20X bonus and valids for 30 days. If you recharge N100, you will be given a massive N2000 of which N500 is for your voice calls while N1,500 for data bundle. You can also get Airtel 6GB data with 1,500 Naira. You can as well get 1.5GB for 1000 Naira. The same bonus is applicable when you recharge N200, you get a whooping 4,000, while N1000 goes to voice calls, N3,000 is for purchasing data bundles. It goes on and on. The more you recharge, the more huge bonus you enjoy. Below is the list of bonuses and prices. 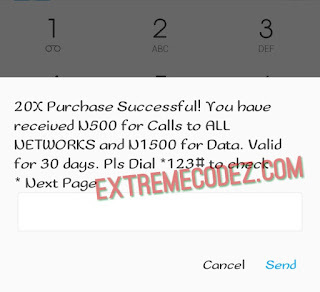 HOW TO SUBSCRIBE TO AIRTEL 20X BONUS OFFER? » Firstly, load up your airtel line. You will enjoy any of the selected options above for a period of 30 days. CAN I ENJOY THIS OFFER MULTIPLE TIMES? Yes! You can purchase this offer multiple times within 30 days from the date of first purchase. HOW TO CHECK 20X BONUS BALANCE? Just dial *123# to check your bundle balance. Don't just read and go kindly share with your friends by using any of the below share buttons.